How to remove bad smell from room? An odorous room is something extremely uncomfortable, both for the inhabitant and the visitor, and often we do not know what the cause is, generating an accumulation of unpleasant odors. The first action we must take is to get rid of the source of the bad smell, then we must take care of removing it with good ventilation or the help of home remedies. Here, we will teach you how to remove bad smell from room so that your house stays shiny and with a fresh scent always. If you are going through this in your bedroom, kitchen or bathroom you have arrived at the right place. Take your clothes out of the bedroom. 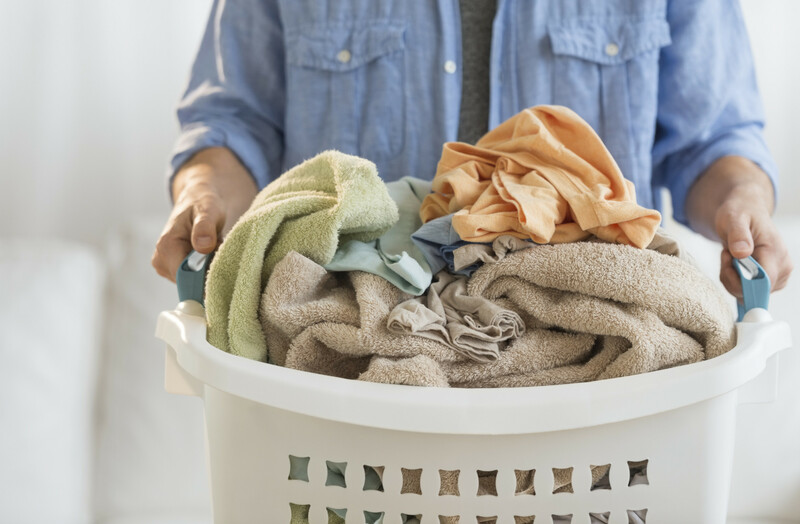 If your laundry basket is inside your room, it’s time for you to think of a better place as this may be the epicenter of the bad smell. Remember that we sweat daily and clothes like socks and pants accumulate bacteria. The sheets and especially the pillowcases are a source of bad smell. As they are in direct contact with us, we can pass scents of perfumes and the same sweat that we produce at night, therefore it is important to change it at least once every two weeks to avoid the accumulation of germs and bad odors. Maintain a good ventilation. If you have windows or balcony, open them daily to avoid the accumulation of odors in the environment and also be attentive to the curtains and their regular cleaning. To remove the bad smell of a room without windows you have to do the same thing that we have indicated in the first two tips, remove all the clothes and order the room and wash the bedding, but you have to do something else, then renew the air necessary. If your room is closed and does not have windows, it is important that you have a fan or air conditioner that helps the best air circulation. You can also use air fresheners that remove the bad odor, also called air fresheners neutralizers of bad odors . 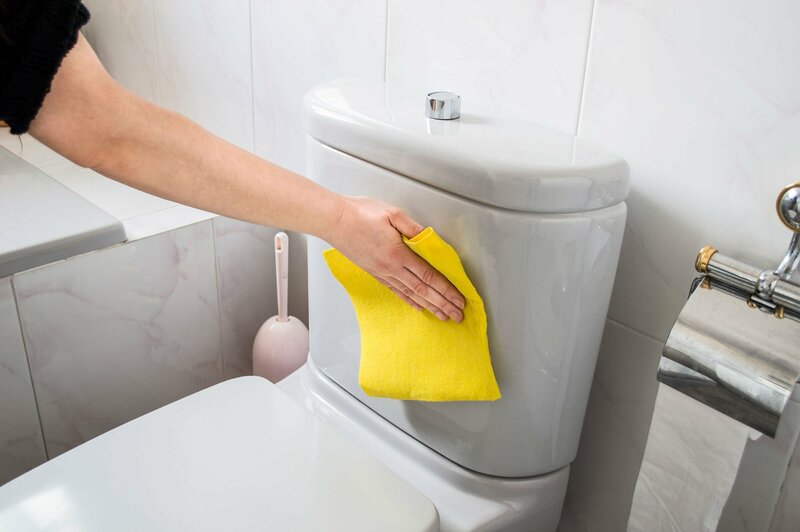 The toilet is one of the main sources of bacteria, mold and bad smell, so cleaning it at least once a week is extremely necessary. You can use special cleaners or resort to the reliable vinegar, the disinfectant par excellence for the home. Pour a cup of vinegar through the walls of the cup and spray with an atomizer the edges of the lid and protector, help with a brush to remove traces of dirt and pull the tank when finished. The best way to clean them is to add 1 cup of baking soda on the rack and then pour 2 cups of vinegar. This will help eliminate any particles stuck to their walls and kill any source of bad smell. Finally, pour 2 cups of boiling water to remove any traces that have not disappeared with the vinegar. 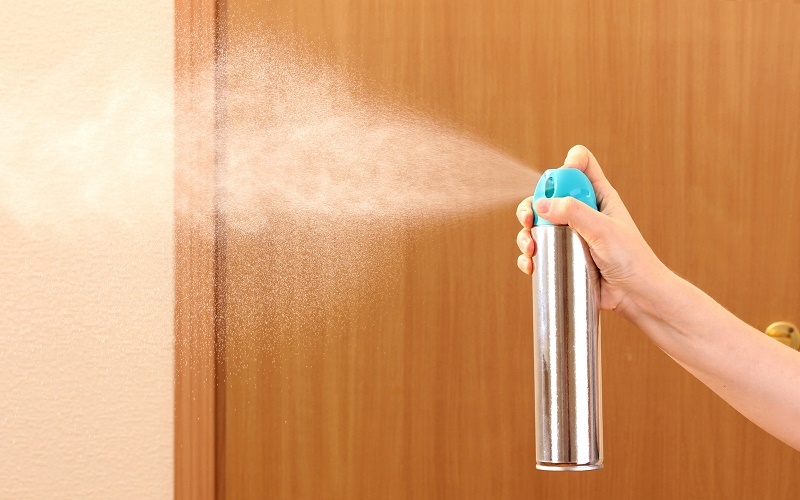 In addition, we recommend this other article about home air fresheners for the bathroom , using them you will eliminate the bad smells of this room of your home. To finish, we explain how to remove the bad smell of a very busy room like the living room or living room, as well as the kitchen that is also vital. If you have pets, eat on the couch or have carpets, they may be the cause of bad smells in your room. This area of the house absorbs all odors and is retained in the upholstery, so it is important that you pay attention to areas like this. In addition, another area that can retain very bad smells is the kitchen itself, because odors, fats, garbage, etc. accumulate, and if you also have an American-style kitchen, which joins the dining room and the living room with the kitchen in a space open. It will surely be easier to accumulate unpleasant odors. Take note of theseTips to eliminate the bad smell of the living room and kitchen. The carpet and furniture fabric tend to retain many odors due to its thickness, making it a focus of bacteria and mites. Aspirate with a wide brush carpet and furniture in its entirety; You can help with disinfectants or products that do not damage the furniture and that provide a fresh scent to the upholstery. 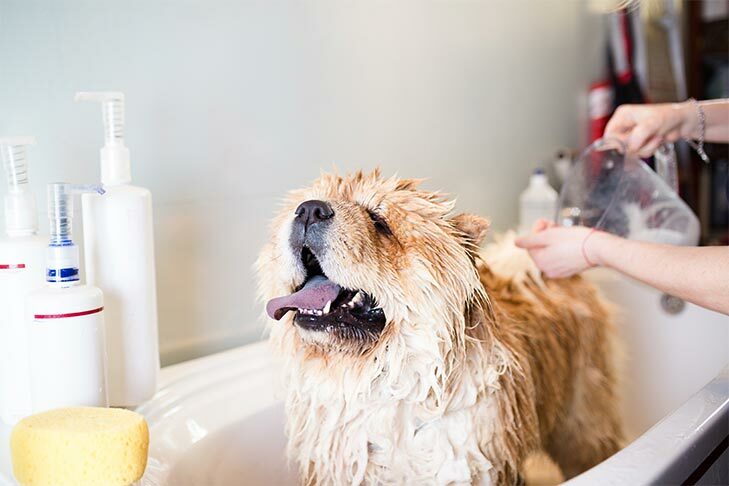 Animals can be the cause of bad smell, so check with your veterinarian how often you can bathe and at the time of doing so, use special shampoos that have an odor. You can check this other article on How to remove the smell of dogs from your home. The kitchen and everything in contact with food can be a source of bad odors, so keep a good cleaning in microwaves, refrigerators, ovens or garbage disposals. The best option is to use lemon, vinegar and bicarbonate, this trio is excellent for disinfecting, removing stains and eliminating unpleasant odors.